We recognise 18 high-flying individuals who work together in a job share or job split. Will (left) and Sam share responsibility for three teams, managing around 20 people and multiple budget lines and reporting directly to the Global Executive Committee. With a remit covering global strategies, project delivery and culture change, they frequently lead projects and campaigns that span multiple business areas. Amongst their achievements are leading Aviva’s policy work on Brexit, driving Aviva to become a Living Wage employer and launching the company’s Community Fund globally. Will and Sam chose to job share to help care for their respective children and support their partners’ careers; they both work on Wednesdays to allow a seamless transition. They have appeared on Aviva’s internal TV channel to promote flexible working to thousands of employees. 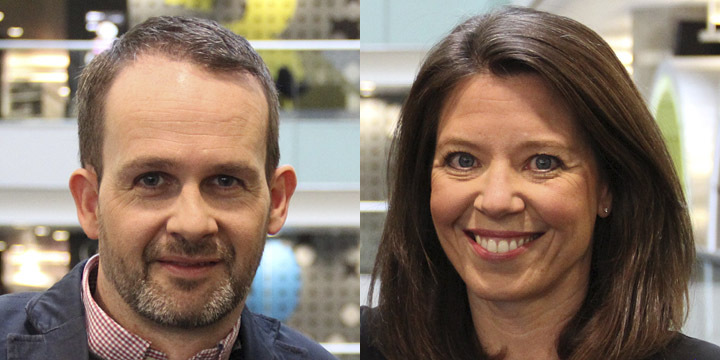 Currently the only job share team on a flagship BBC programme, Jonathan and Kelly directly oversee live editions of BBC Breakfast, as well as deploying reporters around the UK and managing a team of producers. They also produce special programmes covering major stories, such as the EU referendum and the general election. Jonathan and Kelly line-manage different members of their team, and have clear and separate workstreams; however they collaborate on a number of joint projects and pick up shifts for each other when tough deadlines approach. Both Jonathan and Kelly have young children and are proactive champions of flexible working, speaking on the subject at BBC events and mentoring part-time workers within the corporation. 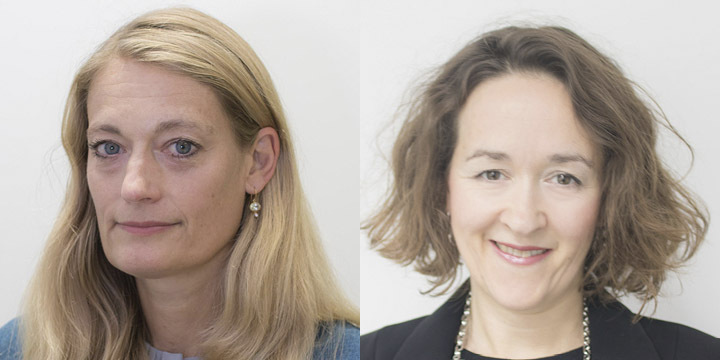 Appointed in November 2017, Polly (left) and Ruth are the first job share team to be promoted to Director General level within the Civil Service. They are members of the Department for Transport’s Board and lead the Government’s work on rail issues. Their team of over 500 staff develop overarching rail strategy, oversee Network Rail’s funding and operations, and negotiate and manage contracts with train operators. They are also responsible for ensuring that major projects such as Crossrail are delivered successfully. 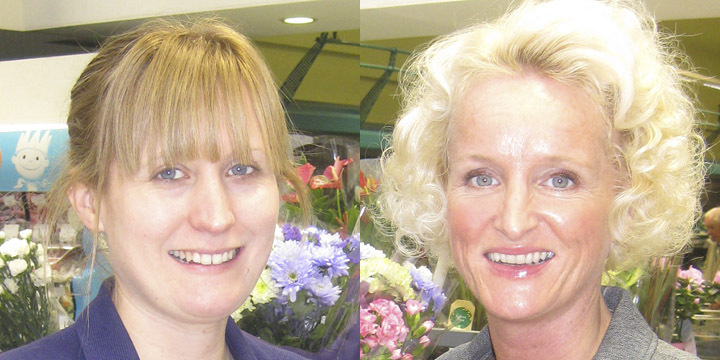 Polly and Ruth started job sharing eight years ago, to balance developing their careers with supporting their families. They champion flexible working across the Civil Service and externally, mentoring others and explaining how job sharing can work at all levels. Demonstrating the breadth of opportunities that job shares can create, Linda is based in the UK and Christian in Germany. They share a range of responsibilities including developing and future-proofing the Ford of Europe product portfolio, strategy and concepts, and building partnerships with key organisations. 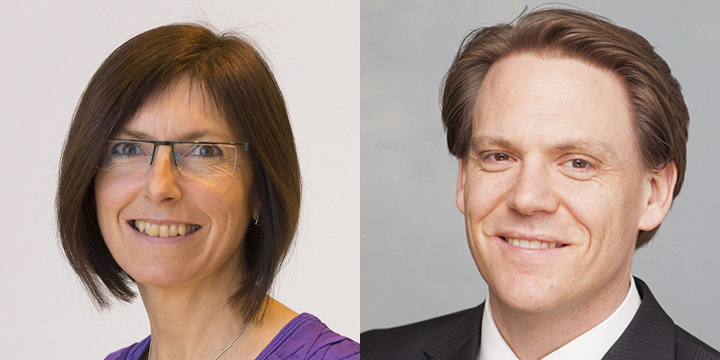 Their diverse cultural backgrounds and experiences allow them to apply fresh thinking to Ford’s strategy, sitting on the company’s European Product Committee and taking part in global think tanks. Linda and Christian both job share as a way to achieve a better work/ life balance. As well as mentoring flexible workers within their team, they have taken part in a film about part-time working that was used by the Equality and Human Rights Commission. Dee (left) and Samantha began job sharing in 2016 to balance their careers with family life. 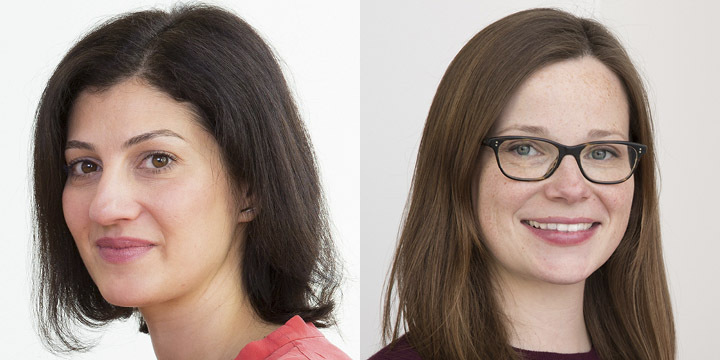 After a successful stint sharing the Senior Editor role, they were promoted to Head of Content Planning in December 2017. 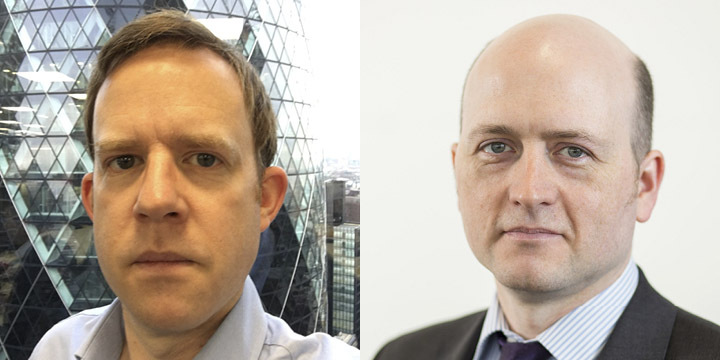 Their new role sees them setting up and leading the Digital Communications Planning Desk, defining the publishing and distribution strategies across HSBC’s Global Communications, functions and the business. In November 2017 they launched FLEX, a support network for flexible workers in HSBC UK, and have since been invited to feed into the business’ perspective on flexible working at a global level. 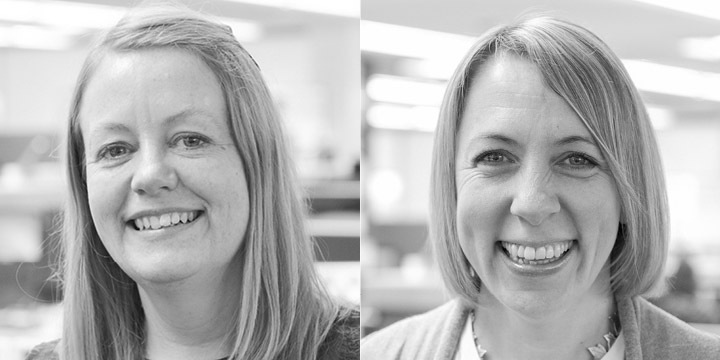 As Senior Managing Consultants, Ali (left) and Jo specialise in digital functional analysis and design, spanning everything from leading customer journey design and user experience to overseeing digital security, web analytics and accessibility. They lead a team of 30 in a financial services digital transformation programme, located in the UK and India. 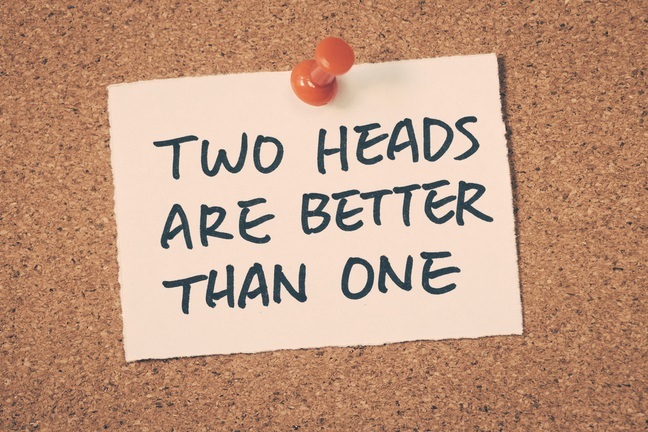 Keen to continue in a senior client-facing role, they pitched the idea of job sharing to both the IBM senior team and the client, selling their combined experience and knowledge, alongside many other benefits. They have published a white paper on their job share experience which is being used by both IBM and their current client to promote flexible working. Vicky (left) and Karen share a senior HR role in Marks & Spencer, working to develop a high performance culture through talent nurturing, succession planning and change management. They are integral members of the senior leadership team, coaching, advising and challenging thinking as well as developing people initiatives to support and drive their business areas. For Vicky and Karen, job sharing makes it possible to be equally ambitious about their career and personal goals. They have been promoted twice since becoming job share partners, and encourage flexibility within their teams, supporting a third of their team to work part-time or flexibly in their previous management role. They also mentor people within and outside the business in their own time. 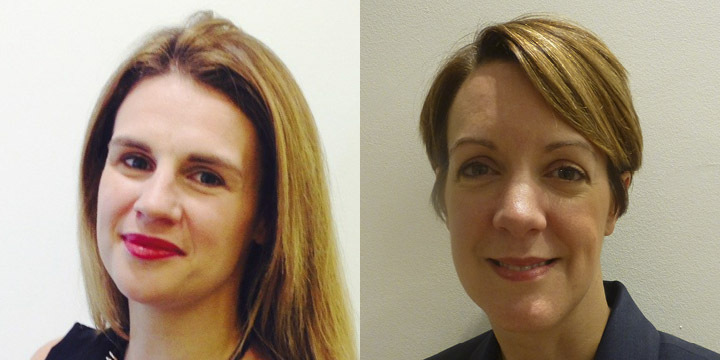 With a shared ambition to make a difference in the education system, and a belief that a headship requires more than a five day week, Liz (left) and Nicola have led Surrey Square Primary as a job share since returning from maternity leave in 2014. The school has since been judged as outstanding by Ofsted, who praised the pair for their inspirational leadership and pursuit of excellence. 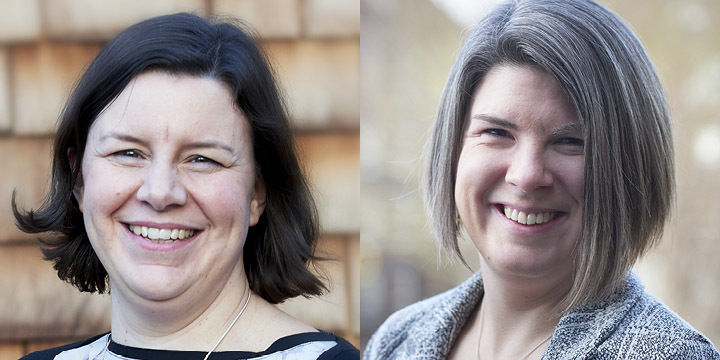 Liz and Nicola share their approach as widely as possible, writing for the TES and designing, supporting and running women-only leadership courses. A rare example of shared leadership in the education sphere, their approach is reflected across the school, with four out of seven members of the senior leadership team working part-time. Ashley (left) and Laura cover the north east of Scotland for Tesco, leading and inspiring their teams across 22 Express stores. Their range of responsibilities includes managing costs and achieving growth, as well as providing training and direction to help their managers deliver excellent sales and polished customer service. Ashley and Laura joined forces after returning from maternity leave eleven years ago, and were the first of Tesco’s store managers to work in this way, subsequently being promoted in their partnership to area manager level. They have taken part in a number of external case studies and internal women in leadership events to spread the word about the benefits of flexible working.